This post is sponsored by Clorox. All opinions are my own. Our sweet baby is here! 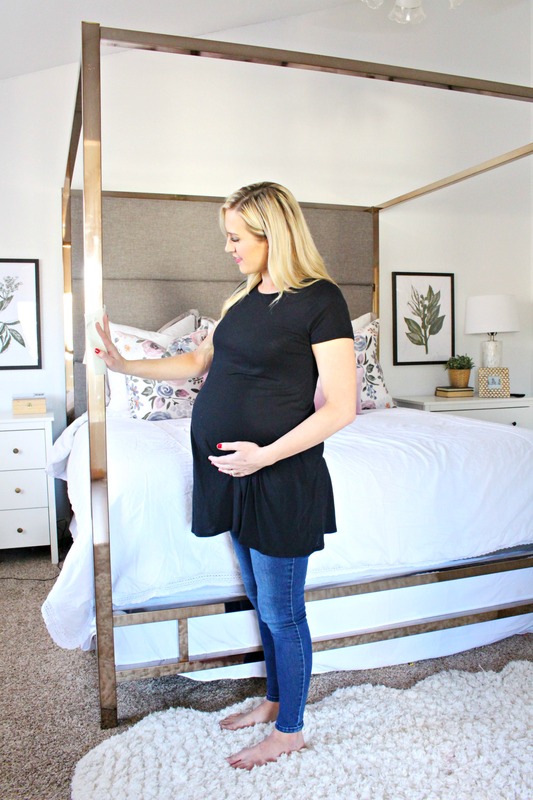 Our fifth baby boy was born just a couple weeks ago and I’m so excited to share with you how I cleaned and prepared our home before his arrival. 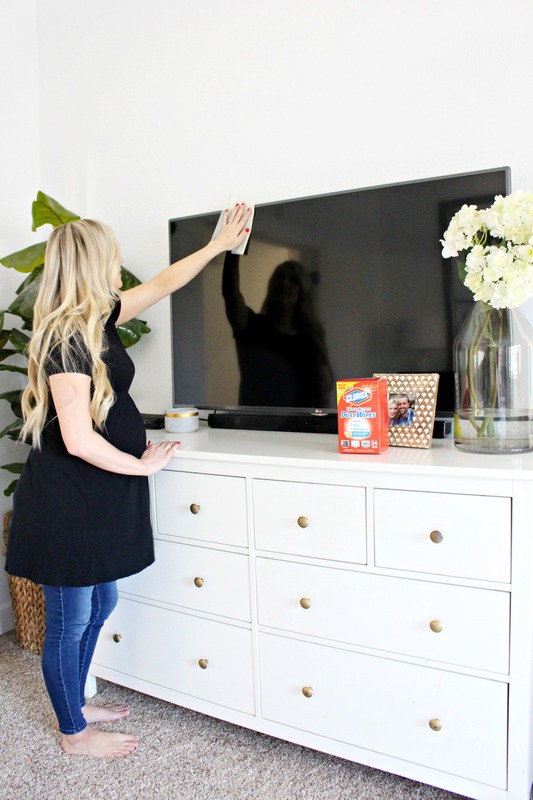 Cleaning is actually a hobby of mine so I was really excited to use some of my favorite Clorox products with the intention and purpose of preparing for my sweet little boy’s arrival. Cleaning is often thought of as a chore but I love that cleaning makes me feel like my home is prepared for whatever events or experiences are about to be had. A clean and tidy home gives me so much peace of mind and helps me feel motivated and productive each day. To prepare for our new little guy to join our family and our home, I used Clorox 2® Stain Remover & Color Booster Liquid to wash “hand-me-down” baby blankets and clothing from siblings. I even washed new clothing and blankets that I received at my baby shower. Washing new clothes is just as important as they can accumulate germs when being handled by store employees and shoppers. 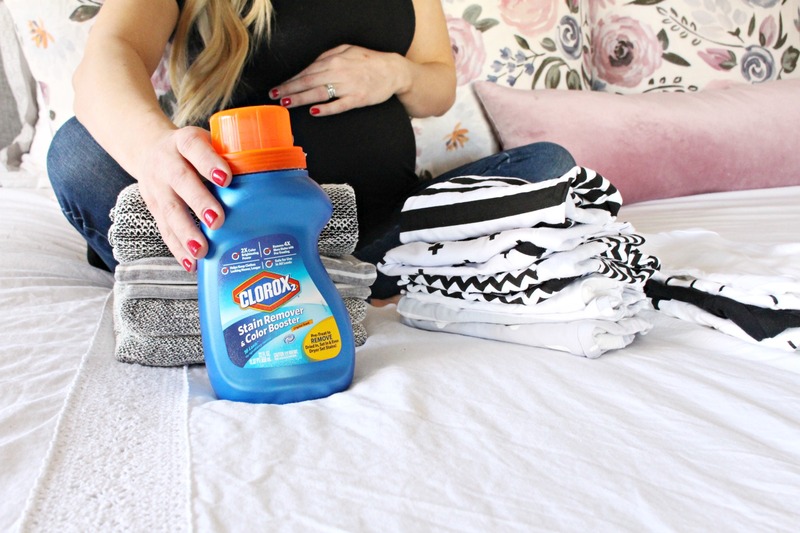 Clorox 2® Stain Remover & Color Booster Liquid leaves the “hand me downs” and new clothes feeling soft and cleaning while maintaining the vibrant colors. Other areas that need preparing are the germy spaces that often get overlooked in everyday cleaning and need wiping down. I don’t wipe down stairs banister, furniture, electronics, door handles/knobs, etc. very often but those places can accumulate dust and germs that are easily cleaned with Clorox® Disinfecting Wipes. 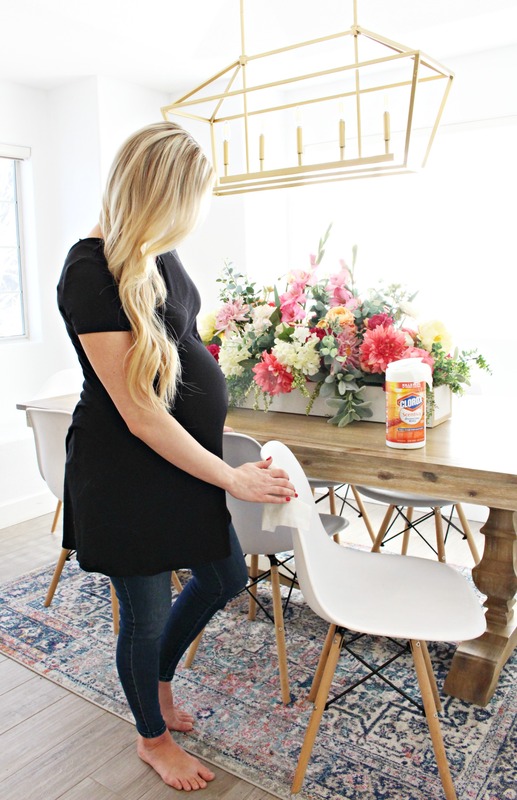 I am totally obsessed with the Clorox® ScentivaTM Disinfecting Wipes! These wipes allow you to clean, deodorize and disinfect while killing 99.9% of bacteria and viruses which was VERY important to me as three of my older boys are bound to bring home plenty of germs from school each day! The Hawaiian Sunshine scent is my favorite! My house smells amazing after using them. Clorox® Triple Action Dust Wipes are another one of my favorite cleaning products. Living in Arizona, we deal with a lot of dust in our home. The dust wipes are dry, non-abrasive wipes that feature an interlocking weave that traps and locks dust, allergens and even hair. I use them on furniture, electronics, blinds, decor, frames, and baseboards. I really love to use them on electronics that seem to collect dirt quickly! There is something comforting knowing that I am bringing my new baby home to a clean, sanitized space. This gives me (and the rest of my family) the comfort and peace of mind knowing that our home is safe and clean for that special day when baby comes home. This is such an important matter that most people don’t take seriously. Having a new life at home is really a next generation in making. I believe everyone should follow these tips so that we can create a conducive and healthy environment for new life. Thank you for throwing some light on such an important part of people’s lives. Thank you Mallory for your post on Clorox wipes. I love using them all around the house to disinfect everything too!